After six years and around 180 posts, I’ve decided to bring this blog to a close. I’ll be launching a new blog on another topic soon, and I’ll post a link to it here. Thank you for reading me and all the best for a prosperous 2016. Happy New Year! 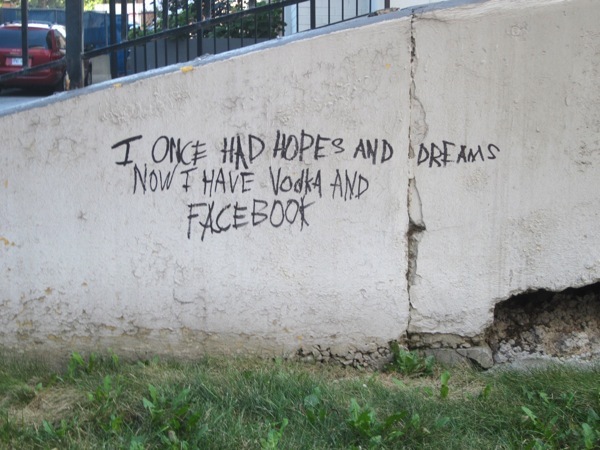 I don’t often feature graffiti on this blog, but this scrawl of desperation really struck me. In a world of never ending digital status updates, it makes sense that a distressed soul would seek refuge in a wall. 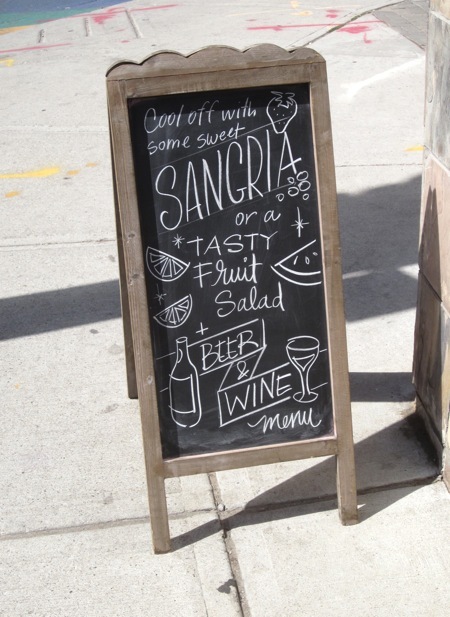 Sangria and gelato become all the more tantalizing when advertised by a sign as stylish as this one. During the month of June, buildings all over the city sprout rainbows. 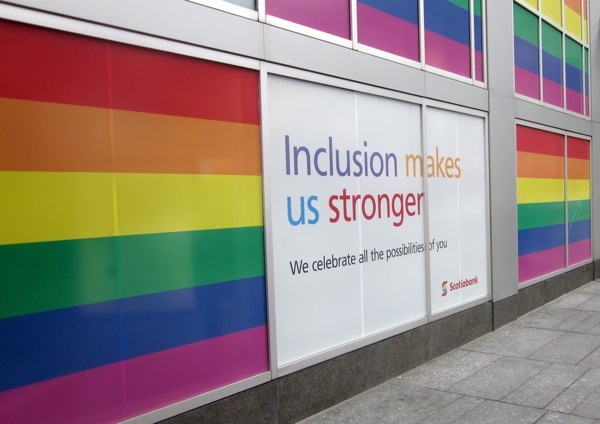 Here’s an example at a Scotiabank branch that really makes an impact. The slogan is just as appropriate for Canada Day as for Pride Month. May your summer celebrations be full of joy. 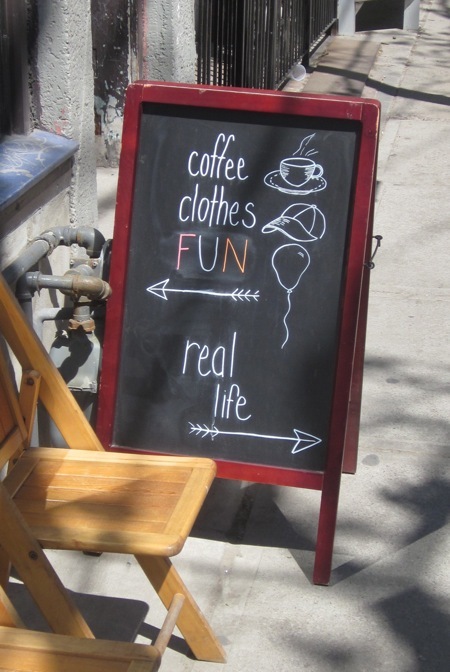 This sign presents you with two options: choose either the retail environment of lost & found or the reality of life on Ossington Avenue. If only all of life’s choices were so utterly simple. 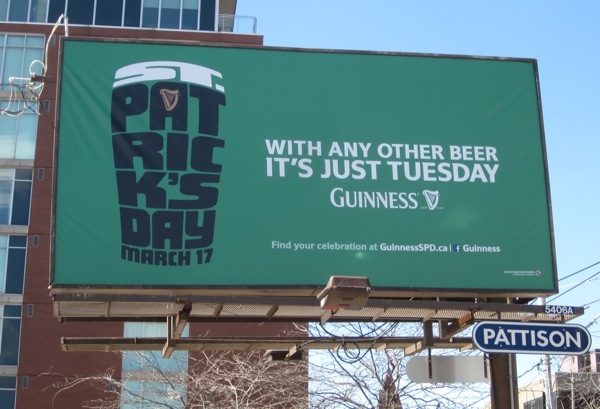 Here’s a sign that shows how simple it can be to make a huge impact. Two colours. Three words. 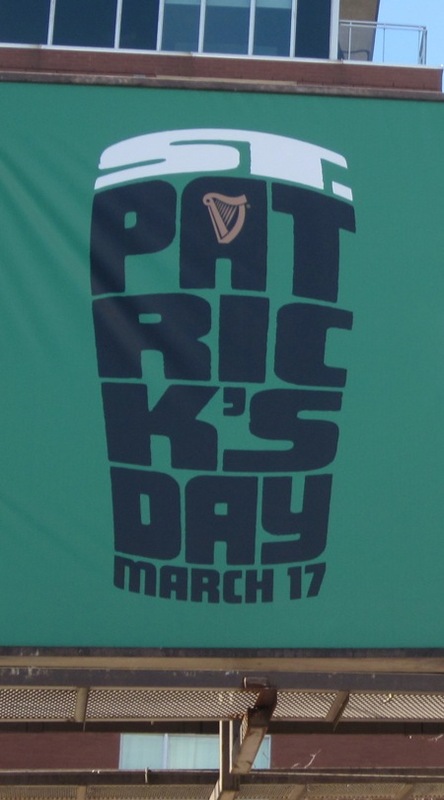 Hand painted lettering. That’s all it takes to make a lot out of a little. 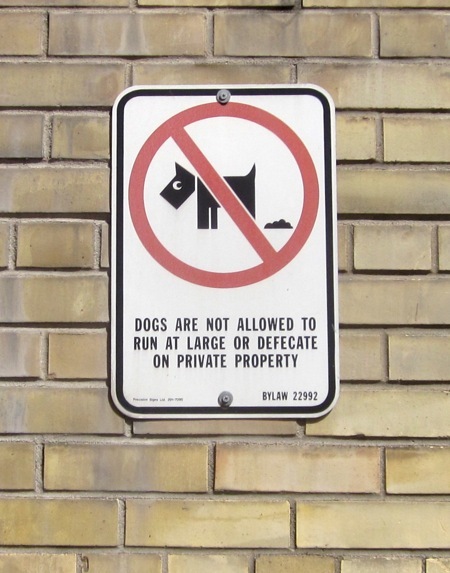 Toronto doesn’t have a standard anti- dog poop sign. There’s a wide range of approaches, as any Toronto dog owner will know. This one is my favourite and it happens to be bolted to the building in which I live. It’s the expression on the dog’s face that makes it stand out for me. The dog looks mischievous, as if aware that it’s done something naughty. I wonder: Does this slightly whimsical approach lead to dog owners being more compliant? 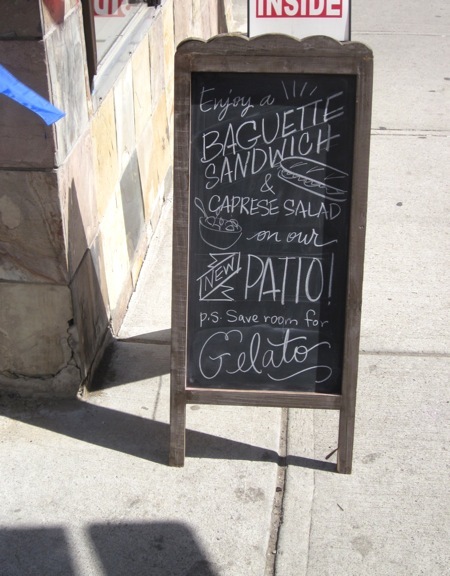 There’s something poignant about chalkboard signs. All that effort for something that is designed to be erased. 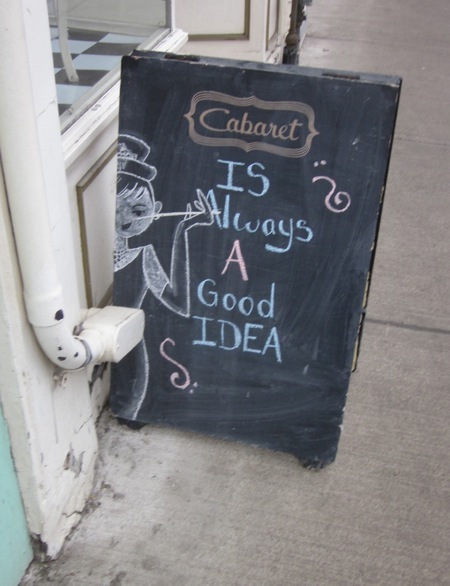 Here’s a chalkboard sign for a vintage clothing shop, Cabaret, on Queen Street West. It features the iconic image of Audrey Hepburn as Holly Golightly in Breakfast at Tiffany’s. It’s a pleasure to see her make an appearance amid stylish Torontonians. I love the way her cigarette becomes part of the letter A. 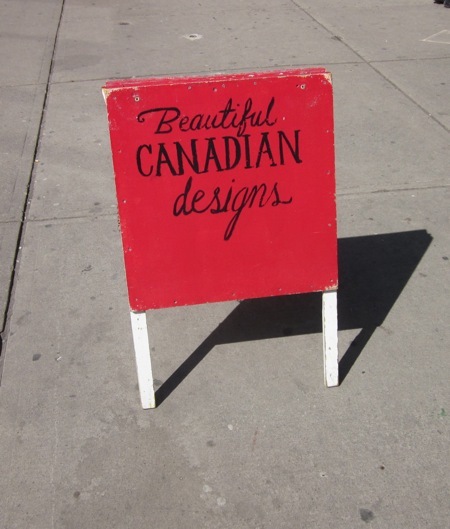 Longtime followers of this blog will know that I have a fascination with revised signs. Here’s one that caught my attention recently. The blocked out letters are intriguing. 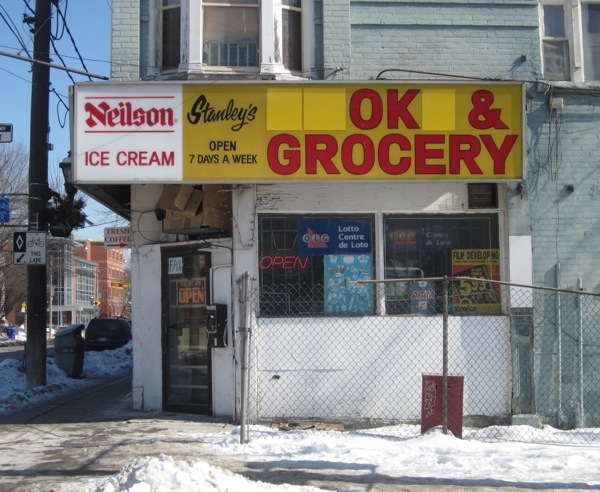 The sign probably used to say “Stanley’s Smoke & Grocery.” I suspect that in order to abide by anti-smoking laws, the owner’s made an adjustment so as to avoid replacing the sign entirely. I wonder if attentive smokers still expect to find their vice inside.